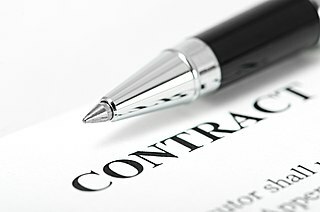 An indenture is a legal contract that reflects or covers a debt or purchase obligation. It specifically refers to two types of practices: in historical usage, an indentured servant status, and in modern usage, it is an instrument used for commercial debt or real estate transaction. Although other evidence indicates that the method has been in use from around the year 1000, the earliest surviving examples in England are from the thirteenth century. These are agreements for military service, proving that a paid contract army was then in existence. Exchequer records of Henry V's French campaign of 1415 (the Agincourt campaign), including the indentures of all the captains of the army agreeing to provide specified numbers of men and at what cost, may still be read. 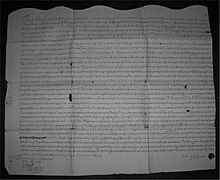 An indenture was commonly used as a form of sealed contract or agreement for land and buildings. An example of such a use can be found in the National Archives, where an indenture, from about 1401, recording the transfer of the manor of Pinley, Warwickshire, is held. In the early history of the United States, many European immigrants served a period of indentured labour in order to pay the cost of their transportation. This practice was common during the 17th and 18th centuries, where over half of immigrants worked off an average of three years' servitude. Bond indenture (also trust indenture or deed of trust) is a legal document issued to lenders and describes key terms such as the interest rate, maturity date, convertibility, pledge, promises, representations, covenants, and other terms of the bond offering. When the offering memorandum is prepared in advance of marketing a bond, the indenture will typically be summarised in the "description of notes" section. In the United States, public debt offerings in excess of $10 million require the use of an indenture of trust under the Trust Indenture Act of 1939. The rationale for this is that it is necessary to establish a collective action mechanism under which creditors can collect in a fair, orderly manner if default takes place (like that which occurs during bankruptcy). No trust relationship exists between the bondholder and the issuing corporation. These two are in a regular contractual, arm's length, non-fiduciary, non-equity relationship. Rather, the trustee in a "trust indenture" is a third party, usually a specialist company, who is appointed by the issuer to handle and safeguard the interests of the numerous public bondholders, in events ranging from the usual distribution of coupons and principal payments to dealing with the issuer's default, if any occurs. ^ a b Morgan, Kenneth O. (2001). "The Early Middle Ages". The Oxford History of Britain. Oxford, England: Oxford University Press. p. 126. ^ See for example Brown, M.P., A Guide To Western Historical Scripts From Antiquity to 1600, British Library, 1990, pp. 78-9. ^ Barker, Juliet (2005). Agincourt: the King the Campaign the Battle. London: Little Brown. ISBN 0-316-72648-6. ^ "Catalogue". Item details SC 8/333/E1104. National Archives. Retrieved 2008-03-28. ^ William J. Carney. Corporate Finance: Principles and Practice (University Casebook Series). Thomson-West. 2004. ISBN 978-1-58778-769-0. In corporate finance, a debenture is a medium- to long-term debt instrument used by large companies to borrow money, at a fixed rate of interest. The legal term "debenture" originally referred to a document that either creates a debt or acknowledges it, but in some countries the term is now used interchangeably with bond, loan stock or note. A debenture is thus like a certificate of loan or a loan bond evidencing the fact that the company is liable to pay a specified amount with interest and although the money raised by the debentures becomes a part of the company's capital structure, it does not become share capital. Senior debentures get paid before subordinate debentures, and there are varying rates of risk and payoff for these categories. In finance, a holdout problem occurs when a bond issuer is in default or nears default, and launches an exchange offer in an attempt to restructure debt held by existing bond holders. 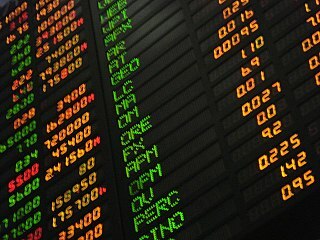 Such exchange offers typically require the consent of holders of some minimum portion of the total outstanding debt, often in excess of 90%, because, unless the terms of the bond provide otherwise, non-consenting bondholders will retain their legal right to demand repayment of their bonds at par. Bondholders who withhold their consent and retain their right to seek the full repayment of original bonds, may disrupt the restructuring process, creating a situation known as the holdout problem. A corporate bond is a bond issued by a corporation in order to raise financing for a variety of reasons such as to ongoing operations, M&A, or to expand business. The term is usually applied to longer-term debt instruments, with maturity of at least one year. Corporate debt instruments with maturity shorter than one year are referred to as commercial paper. A penal bond is a written instrument executed between an obligor and an obligee designed to secure the performance of a legal obligation through the in terrorem effect of the threat of a penalty for nonperformance.